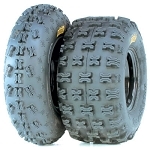 I have purchased two sets of these tires for my ATVs. They are great on the gravel roads and paved roads. that by far is the easiest thing that i have ever had to buy online... got exactly what i needed and was no shipping cost, very affordable and were there withing 3 days.. overall, very pleased and thank you so much! 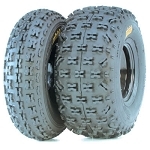 Purchased 2 of the 21x8x9 Kenda tires for my daughter's 1995 Kawasaki Bayou 220. 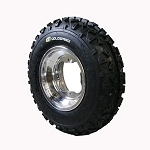 The tires are of excellent quality, fit perfectly and made her ATV much more safe and stable. I recommend Your Off Road to any and everyone in the market for ATV parts and accessories. 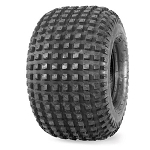 Their quality and prices are number 1 and the shipping is "lightning fast"
My son has been really impressed with the handling of this tire both on the dirt and gravel road. Also, super impressed with shipping. I ordered tires on a Tuesday at 2:00 and received them Thursday at 8:30 of the same week. Will definetly use Pure Offroad again! I literally ordered my son's ATV tires on Sunday night (12/11) and they came today (12/13). I have never ordered anything and recieved it so quickly. This is a great company and I will definately do business with them in the future!